The Everest Base Camp Trek is one of the most iconic in the world. 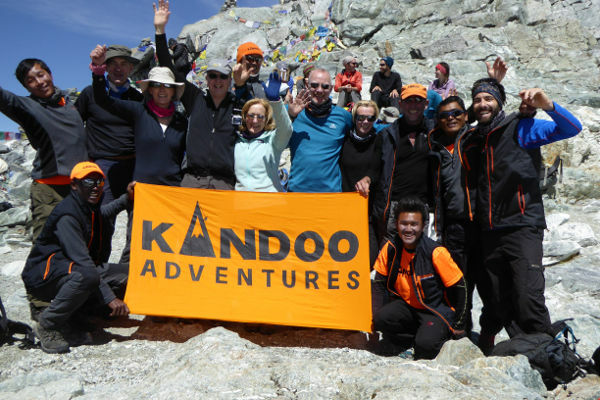 By retracing the footsteps of Sir Edmund Hillary, Tenzing Norgay and countless other pioneers, the Everest Base Camp Trek provides a unique opportunity to view the inner workings of the Khumba region. Breathtaking views of Everest, cultural traditions of the local Sherpas and sightseeing in the Sagarmatha National Park are just some of the highlights of the amazing trek. 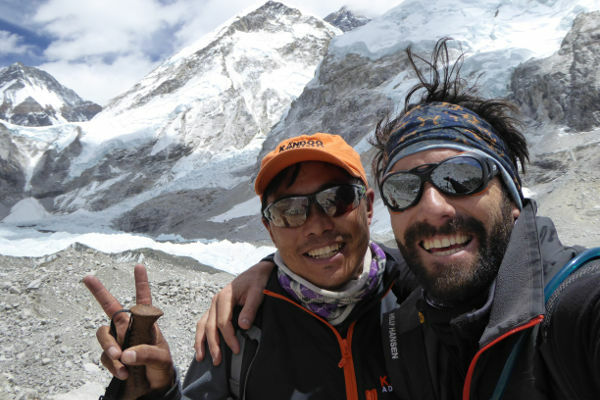 Getting to the region and completing the Everest Base Camp Trek involves various costs ranging from international airfares to park permits and tour guides. This article will detail all the major Everest Base Camp Trek costs involved with the expedition to help you budget and ultimately have an enjoyable and safe trek to the base camp of the highest mountain in the world. Below is an estimation of the cost to trek to Everest Base Camp. The estimation includes all costs, including international flights, visas and permits, insurance, equipment, tour operator fees and other miscellaneous costs. Please note: you could reduce the cost by trekking independently, but will then need to arrange all the logistics for your trek, self-guide and make all accomodation and travel arrangements. We estimate that after international airfare costs, independent trekkers save approximately $400-$700. Typically, airfares and related taxes will form a large chunk of the total cost of the trek. 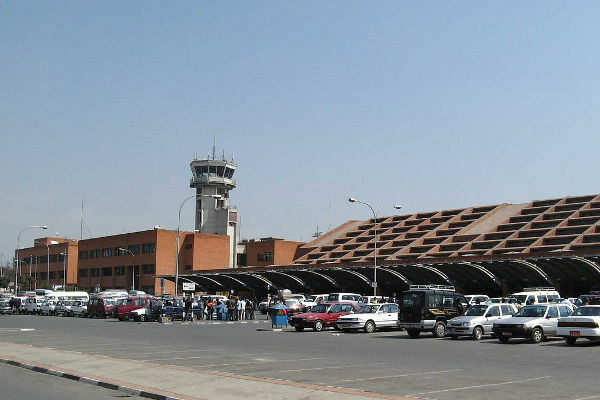 Reaching the remote nation of Nepal often requires two flights with the first generally flying into the Middle East, China or India and the second flight connecting to Kathmandu airport. Depending where you are departing from and when you are travelling, the flights will cost somewhere between $500 and $1000. Flights departing from Europe will be in the lower cost range and those form North America in the higher range. Booking in advance is highly recommended, especially for treks planned during the peak seasons of Feb-May and Sept-Nov. An early booking will also give you plenty of time to train hard before you take on the trek! You can trek to Everest Base Camp without flying to Lukla, however, this necessitates a 6-8 hour bus ride or taxi from Kathmandu to Jiri, and will cost approx. $10 each way. From Jiri the trek to Everest Base Camp is lengthened by 3-4 days. Nepal requires a visa for tourists from all countries excluding India, but this visa does not have to be organised or bought in advance and can simply be purchased on arrival in Kathmandu. 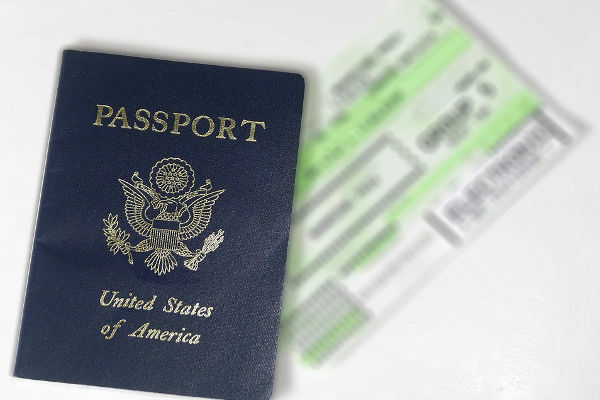 The price of visas start at US$25 for a 15-day multiple entry and go up to US$40 and US$100 for 1 month and 3 month visas respectively. On average the Everest Base Camp Trek takes 14 days (incl. pre and post nights in Kathmandu), so it is advised to purchase the 1 month multiple entry visa to be certain that you won’t overstay your welcome! Two permits are required for the trek from Lukla to Everest Base Camp; the Trekkers Information Management System (TIMS card) and the Sagarmatha National Park Entry Permit. It is recommended to go through a tour operator in which case all permits will be obtained for you and included in the tour cost. If you decide to trek independently the combined cost of the permits will be around $50. Personal travel insurance is not offered by most tour operators but is not a large cost in the greater scheme of things. We advise taking out travel insurance that will cover basic events such as cancelled flights and lost baggage in addition to trekking insurance that will cover medical expenses and emergency evacuations. 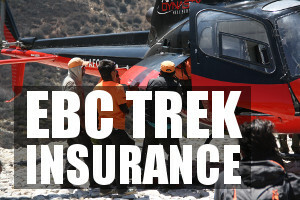 You will need to find an insurance provider who will cover you for trekking up to 6,000m. 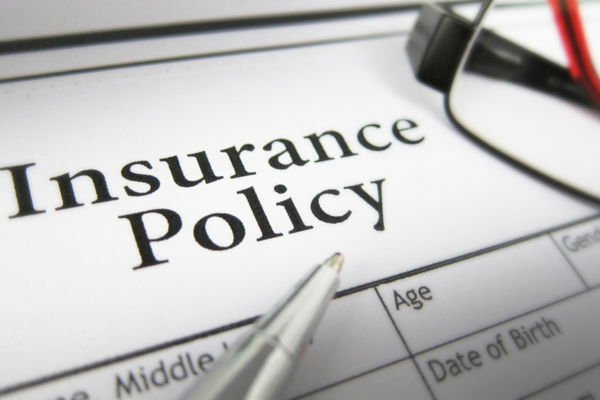 A 30-day insurance policy is likely to cost around $150. See our Everest Base Camp travel insurance recommendations. The cost of equipment needed for the trek is highly variable and largely depends on how much of it you already own and if you are wanting to hire or buy the rest. The basics that you will need to bring include a cold weather sleeping bag, thermal clothing, hiking boots, trekking poles, a backpack and duffle bag, a warm waterproof jacket, gloves, sunglasses, a peak cap and a beanie. Buying the full list of equipment from scratch will set you back as much as $2,000 but most people tend to own some or most of the equipment listed so the cost tends to be a few hundred dollars instead. We recommend using good quality worn-in shoes and comfortable clothing as there is nothing worse than getting blisters on day 1 of the trek! 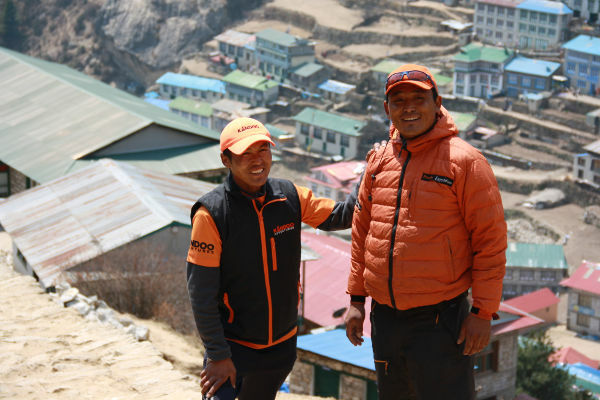 Read our detailed Everest Base Camp equipment check list. The biggest single cost of the trip to Everest Base Camp will be the tour operator as they provide almost all logistical services, will provide a guide and arrange for board and lodging needed for a successful trek. In addition, most operators will meet you at Kathmandu airport and provide hotel accommodation in Kathmandu for before and after your trek. After that they will organise your domestic flight to Lukla as well as the related transport to and from the airports. On the actual trek, all teahouse accommodation and permits and passes needed will be arranged and paid for by the operator in advance, and guides will ensure your safety while simultaneously enlightening you about the history and cultures of the surrounding area. All the amenities provided by tour operators allow for a smooth, relaxing and enjoyable trek without the hassle or worry of permits, logistics, flights and the rest. Both local and Western operators cover the trek so there is a wide range of service quality and prices available to choose from. Cheaper, local agents will offer their services from as little as $700, but be careful as costs like permits, flights, transfers ect. might not be included and quality of service / guides is often questionable. Large local operators or international operators with ground teams will charge in the region of $1,000 to $2,000. We recommend spending around $1,200-$1500 for a well-priced and safe trek that will let you enjoy the beauty of the region. This should be an all-inclusive trek (including internal flights and hotels pre and post your trek, but will usually exclude food on the trek). For food and drinks on the trek we recommend budgeting around $20-$30 a day. For a 12 day trek this would come in at around $250-$350. Almost all teahouses on the Everest Base Camp trek these days have relatively sophisticated menus and food options. Tipping guides and tour staff is customary in Nepal although the amount you tip is entirely at your discretion. Guides often spend weeks away from their families to help tourists navigate the mountain so they really appreciate the little bit of extra income a tip provides. Most operators will recommend a $15 tip per day per group for a guide and $8 tip per day per group for a porter. As a rough estimate you should pay about 10% of your tour price. Teahouses will charge for wifi use, hot showers, snacks and electronic charging, so in addition to food and drink money, we recommend bringing $100-$200 in cash to cover any spontaneous buys. With a bit of basic maths skills, you can see that someone travelling from Europe or North America can expect to pay around $2,500-$3,500 in total. For this price, you are guaranteed an Everest Base Camp Trek that is sure to rank among some of the best experiences in your lifetime. Im going to EBC now at the beginning of September. Thankyou so much for your detailed kit list, I found it a lot more beneficial than the list provided by my tour company. Hi Cathy, I generally use ATMs when I travel to draw cash. I find they are often cheaper or about the same price of exchanging into local currency. You will however need some dollars on arrival or your Visa and it’s always worth having a few extra for the first day. All the best! Hi Mark, thanks for all the info! We are doing the EBC trek in May 2019 and have heard the Tribhuwan airport will be periodically closed from April-June overnight, so our tour company needs to drive us to the Ramechhap airport to fly to Lukla. We arrive at 8 pm and will be driving to the other airport at 2 am so barely have any time in Kathmandu. With respect to obtaining cash from ATMs, I have heard it is difficult to find working ATMs once we fly to Lukla and start the trek. Would you happen to know if there are ATMs at the airport we could use (albeit I’m sure at a worse rate) or if we for sure will be able to access cash in Namche? Thank you so much!! Hi Sam, there are cash machines at Tribhuwan airport. Failing that I recommend bring dollars which you can exchange in Kathmandu or in Namche. Hi, great information. We are planning a trip To Everest Base Camp in the end of March 2019 from US. Any recommendations about a local tour co? 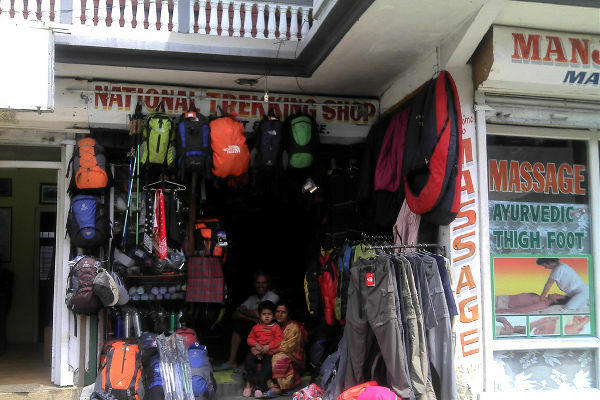 Hi Chris, in terms of gear rental there is a rental store in Chukkung where you can rent all the gear you need for Island Peak – ice axe, crampons, hard shell shoes, harness, carabiners etc. In terms of an experienced guide this is more challenging. Unless you are an experienced climber I would recommend taking an experienced guide. You may be able to find one in Namche, otherwise I recommend contacting a respectable company to arrange this segment of the trek for you. How much it costs to EBC travelling from Malaysia. 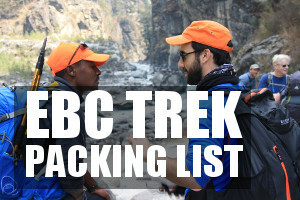 I’m planning a EBC trek within the next two years. I want to make sure my experience is the best it can be. I’m looking into different tours. Anyone have excellent recommendations? ?